The term YouTuber is often said with disdain, synonymous with fevered yells of, “It’s just a prank bro!” and shameless begging for more attention and subscribers. When it comes to games, it’s worse. Images of eardrum-bursting screams from “Let’s Plays” of horror games and racist comments in “heated gaming moments” paint a bleak picture. It can sometimes feel like YouTube is devoid of any real content that could hold your attention for more than a minute. But YouTube can be a valuable resource for knowledge and entertainment. So long as you know where to look. 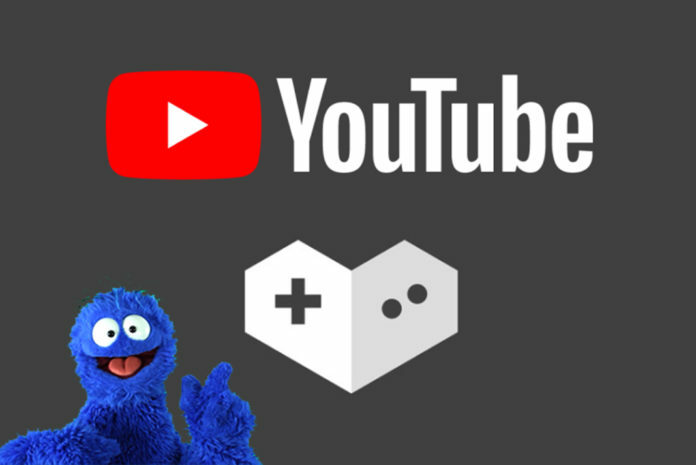 Here is a list of six YouTubers who make gaming content that you might have missed out on even if you already spend more time than you should watching videos on the internet. With a current subscriber count of nearly 1.7 million, you might already know about this channel; and for good reason. The main attraction to Extra Credits is its series on game design. They explore balance in card games, story writing in single player games, analyzing elements of a particular game to learn how it can be applied to future creations, and much more. They’ve made series like “Extra History,” “Extra Sci-Fi,” and “Extra Mythology” that talks about those subjects with the same style and visual approach as their main series. They even made a series of videos that analyzed the American political system through the lens of game design. If you want to binge-watch something that actually has some educational value, I would point you in this direction. As an artist and writer, TB Skyen made a channel that focuses on the aesthetics, storytelling, animation and character design of video games and anime. The main draw to his channel would most likely be his “What’s the Deal With…” series in which he picks apart a character design from League of Legends or Overwatch down to the smallest details and suggests any changes that he would make to that design were he in charge. He is more interested in the art and storytelling of the character designs than their functions in-game. If you’re a lore junky or a creative person, TB Skyen is worth giving a look. If game recommendations are what you’re looking for, you should check out Snoman’s channel. The main draws are his “Good Game Design” series and his “You Need to Play” series. In “Good Game Design,” Snoman talks about how a game (or a number of games) excels at a particular concept. Examples would be how A Hat in Time is a good spiritual successor, and how games should be designed with speedrunning in mind. “You Need to Play” is a more straightforward series that simply recommends a game that Snomanfound enjoyable. If you are at all interested in Nintendo consoles, Arlo is achannel that you should visit. When I first saw him appear in a collaborative video by Lockstin, I was very confused. Why would somebody talk about videogames by using a muppet? Aren’t many people who would look up a review for aport of Dark Souls on the Switch be more adult than that? I find him to begenuinely funny though, and it is refreshing to find some family friendlycontent on YouTube. Jazz covers of video game soundtracks is what you’ll find on Carlos Eiene’s channel. Even before he was accepted to Berkeley’s music program, he spent his free time producing high-quality videos of himself playing multiple instruments for covers. You may be surprised at how well it works! I am a Communications and English double major with interests in running, music, and video games. I participate in cross country, track, jazz band, and the gaming club. I hope to eventually become a journalist or English teacher who can influence people to think independently.